After spending two weeks in Belgium preparing for the Under-23 Africa Cup of Nations (Afcon) qualifiers, the hour is finally here as Malawi date neighbours Zambia this afternoon at Kamuzu Stadium in Blantyre. The second round, first leg game is a must-win for the Junior Flames as they need to utilise home ground advantage before the return leg scheduled for Lusaka on Sunday. Malawi Coach, Meke Mwase, said he was confident that his charges can upset the highly-rated Zambia and stay in contention for Afcon finals. Top three teams from the Under-23 Afcon finals will qualify for the 2020 Olympic Games. “Of course, we have had good preparations but at times, football is tricky and anything can happen. However, I know that my players are confident that they can do well. I am appealing to our supporters to come in large numbers and support us,” he said. Mwase, under the supervision of Belgian Ronny van Geneudgen, is expected to feature Charles Petro, Hadji Wali and Precious Sambani in defence whereas Captain Chimwemwe Idana will add steel to the midfield. Upfront, Mwase has many players that offer a variety of services and can be thrown into the jungle for different reasons. Gregory Nachipo, Peter Banda and Hassan Kajoke are Mwase’s options upfront. Idana said they have had fantastic preparations and they would do their best to win today’s game. “We have to secure all the points here if we are to proceed to the next round,” he said. Either Burundi or Congo Brazaville await the winner between Malawi and Zambia in the final qualifying round. The under-23 team saw off Botswana 3-2 over two legs in the first round to date Zambia. 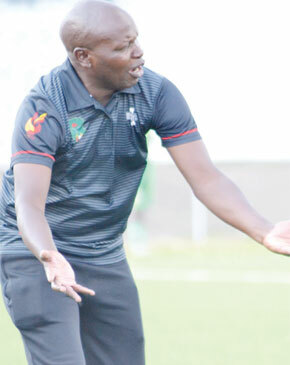 Zambia assistant Coach, Bilton Musonda, said they were familiar with Malawi’s football style and players following their experience at under-20 level. “We met at the under-20 level and we expect to meet the same players because we have taken the same team,” he said. Musonda said the late arrival of Belgium-based striker Patson Daka was not a concern as he is conversant with the teams’ style of play. Daka is expected to partner Austria-based Fashion Sakala upfront with Enock Mwepu playing on the left wing.